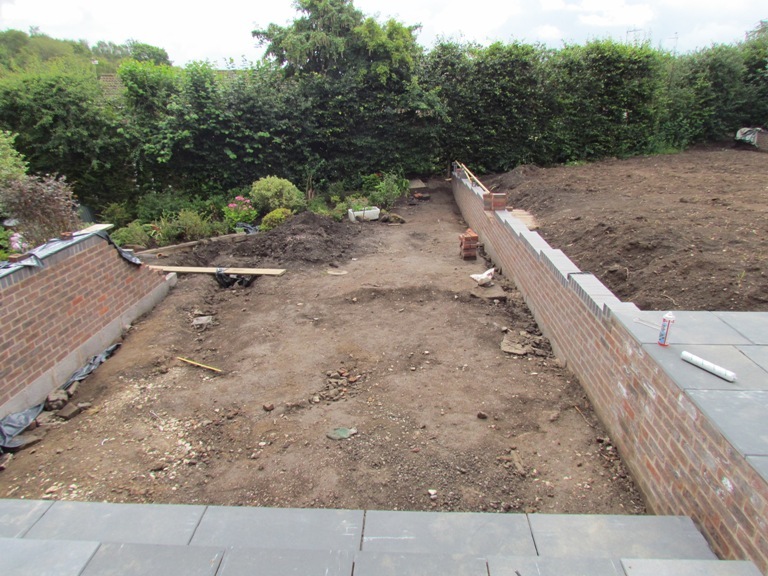 Back in May I had an enquiry from a couple in Telford who had just completed a house building project and were starting to work on the garden. Over the past few months, we have spoken on the phone and they have sent me pictures of the garden along with plans and details of the areas of the garden that have already been built. We talked about how we might be able to work together remotely to ensure that they got the most from the garden and made the right decisions. I have recently put together a concept design (above) for them which takes into account their thoughts and ideas, the areas of the garden that have already been constructed, and has also developed the areas of the garden they didn’t know what to do with. Here are the pictures of the garden with some of the areas completed. These were taken before I tackled the concept design. The first shows the view from the Orangery. 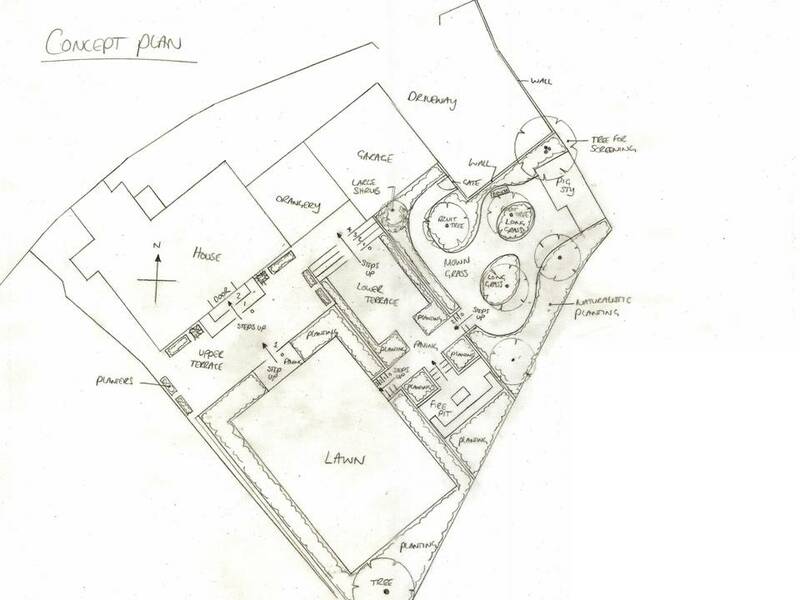 Eventually there will be a terrace at the bottom of the steps and a lounge seating area with fire pit at the far end. This second photo is a view from the house overlooking the upper lawn area. You will see from the concept plan that I have introduced some planting around the lawn to soften and balance the space. 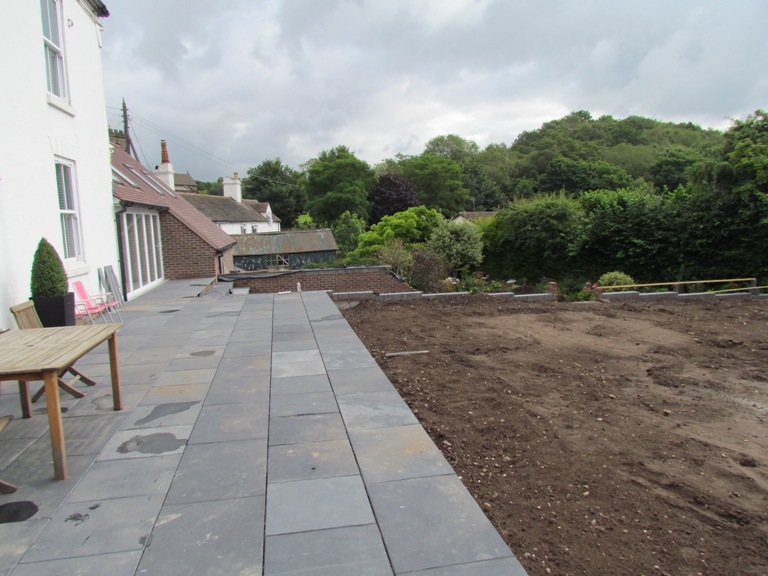 The last picture shows the view looking across the upper terrace towards the orangery. This is the first project I have designed without seeing the garden so it’s been interesting and challenging as well as rewarding and they now feel they have the confidence to take the project forward themselves. 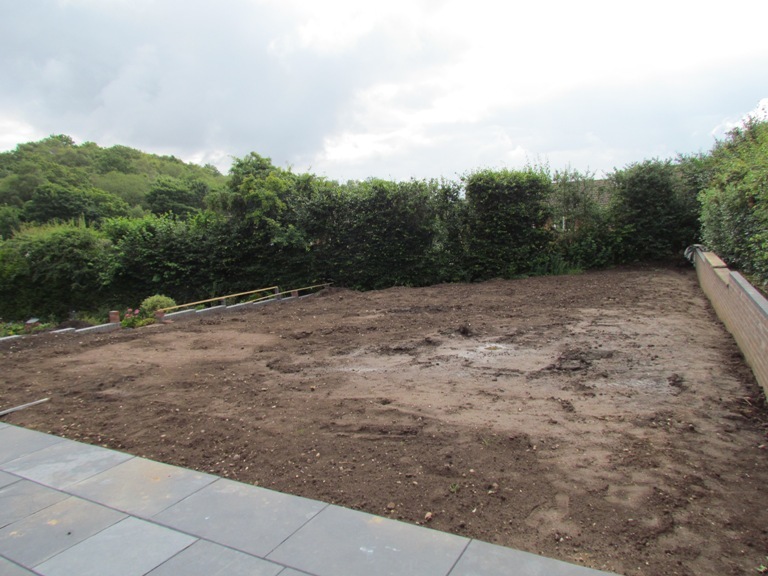 Once the hard landscaping works and new lawn has been laid they will come back to me to produce a planting design for the newly created planting beds. I’m very much looking forward to seeing the pictures of the finished garden when it’s done and I will obviously share these with you too.